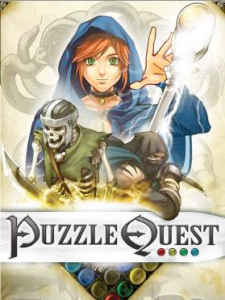 I just found out that Puzzle Quest and Passage are available on the App Store. I first played PQ via XBLA and found it addictive and interesting. For me, Passage was the hit of the Gamma256 event in Montreal (in 2007?). Having both of these games on my iPod is great, for different reasons. PQ will allow me to level up on planes and trains, something I love, and the iPod version of Passage will allow me to show the game to people who normally might not encounter it. This entry was posted in Art-tech, Games, ipod by Harvey. Bookmark the permalink.